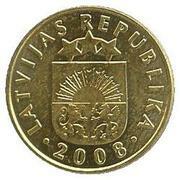 The numeral 10 is centered on the coin. 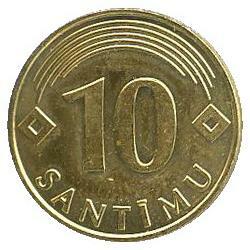 The inscription SANTĪMU, arranged in a semicircle, is beneath the numeral 10. 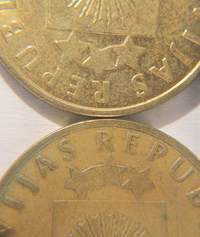 Above the numeral, five arcs join two diamond-shaped suns which are located on either side of the numeral 10. 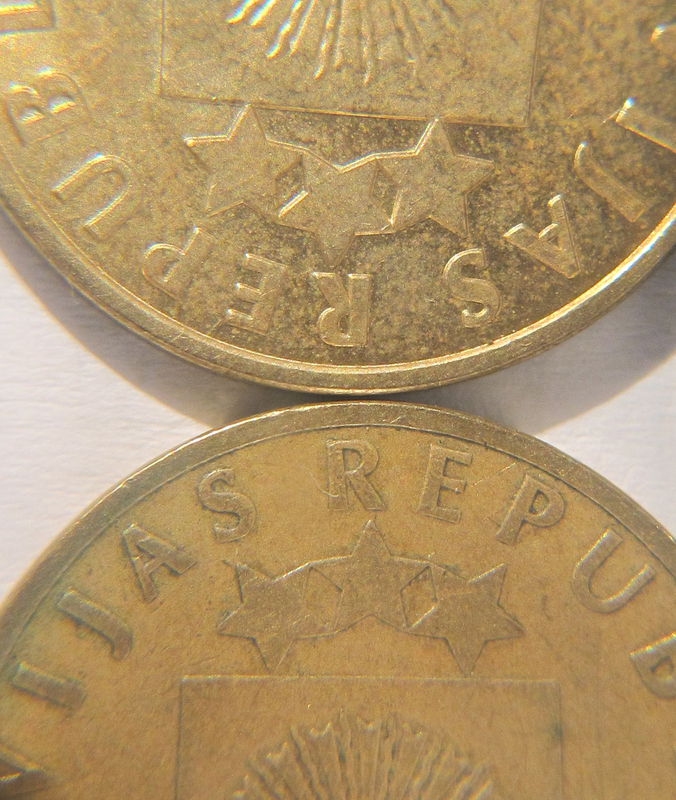 The 1992 coin had an error in the planchet on the 10 pfennig coin in Germany and the composition is brass-plated steel. Difference between the 1992 and 2008 versions (1992 down).